The Greater University Circle Initiative is a ten-year long effort, led by the Cleveland Foundation, to enable collaboration among University Circle anchor institutions and connect local neighborhoods to the cultural and economic engines in this world class Eds, Meds and Arts district. 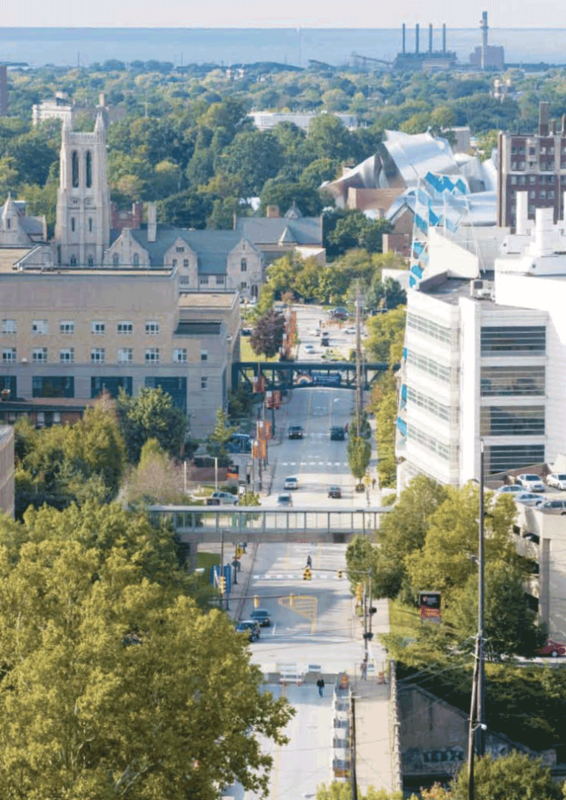 Known as the Cleveland Model, ReThink has represented CWRU throughout this nationally renowned anchor-institution approach to revitalization, which continues to evolve through numerous initiatives. ReThink Advisors translated social and economic policies and programs into an approach to physical planning and zoning. For example, a major priority of this initiative was to understand and address health disparities. To this end, ReThink influenced planning decisions by surfacing the connections between health outcomes, social cohesion and the built environment to advocate for a more connected, resilient and human-centered urban design.